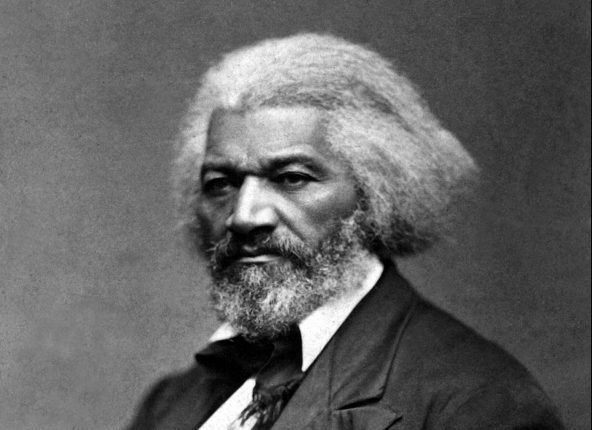 In a New York Times opinion piece, Nicholas Buccola, a JMC faculty partner, addresses Timothy Sandefur’s claim that Frederick Douglass was a libertarian. Over the past several weeks, a war of words over the ideological legacy of Frederick Douglass has erupted. This is nothing new. Like the founders and Abraham Lincoln, Douglass has long been at the center of an ideological tug of war; all want this iconic figure to be on their side in contemporary political debates. In response to the Sandefur book, the Yale historian David Blight wrote an Op-Ed essay in The New York Times objecting to the Sandefur thesis. According to Blight, the “Douglass as libertarian” interpretation is woefully simplistic. Blight concedes that Douglass held many individualist views, but argues that the Sandefur interpretation fails to acknowledge the many ways in which he went beyond individualism. So where does this leave us? What are we to make of this ideological divide over how best to understand Douglass’s legacy? Professor Nick Buccola joined the Linfield faculty in 2007. His teaching and research interests are in Political Theory and Public Law. His first book, The Political Thought of Frederick Douglass, was published by New York University Press and was a finalist for the Oregon Book Award. His second book, The Essential Douglass, was published by Hackett Publishing Company in March 2016. His third book, Abraham Lincoln and Liberal Democracy, was published in the distinguished American Political Thought series of the University Press of Kansas in March 2016. His scholarly essays have been published in a wide range of journals including The Review of Politics and The Journal of American Political Thought. His reviews and op-eds have been featured in a wide variety of publications including Salon, the Claremont Review of Books, and Dissent. He is at work on a new book on James Baldwin and William F. Buckley Jr. Professor Buccola is a recipient of the Allen and Pat Kelley Faculty Scholar Award, a two-time recipient of the Samuel Graf Faculty Achievement Award, and a National Endowment of the Humanities Enduring Questions grant. Professor Buccola is directing this year’s JMC-Murdock Pacific Northwest Conference: Why Frederick Douglass Matters: A Bicentennial Symposium. The conference will take place at Linfield College as part of the Frederick Douglass Forum on Law, Rights, and Justice. Next: Does the Constitution Condone or Condemn Slavery?